Published May 6th, 2006	in Misc. If you’re thinking of selling a property or have one listed and it hasn’t moved in a while, then you should read on. 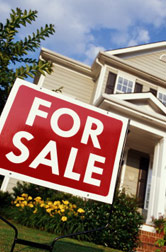 Most people opt for the traditional listing contract when they want to sell their house. This basically says that the listing agent has an exclusice, one year listing rights and that they get the usual cut of the 6% commission. The listing agent gets a nice commission just for taking a few minutes to input your property into the MLS system. The agent who brought the buyer and probably did all the heavy lifting, gets the paid the same. Now does that seem fair? Does that compensation system really motivate an agent to sell your property? Obviously not. So what would be better you ask? For starters, instead of the standard 1 year contract, go with a contract for only 4-5 months with an option to renew. If the agent protests, tell them that if your property is priced well, that’s more than enough time. And in any case, you can always renew (if you’re happy with the listing agent’s work, that is). Also, instead of the straight 6% commission, go for a mixed percentage and bonus contract. Haggle the rate down to a 5% commission and a add a signing bonus for the selling agent. So what does this mean? Well, the agent that sold the house, that is, the person who brought the buyer to the table and is ultimately responsible for consummating the transaction, only gets 1/4 of the $30,000 commission or a niggling $7,500. The rest of it: 3/4 of $30,000 is divided between the different agencies and the other real estate agent (the one who listed the property). And let’s not forget the bonus, let’s go with a $7,000 bonus to the signing agent. But! the agent that brought the seller gets the $7000 bonus. In effect, more than doubling their commission from this transaction. Do you think maybe they would be motivated to sell your property? Remember, the signing agent (the one bringing the buyer) can be the same person as the listing agent! There really is no reason why it can’t be. In that case they would be earning $13,250 !! Why not? They deserve it. And if you really want to kick this strategy into overdrive, why not add the signing bonus to the price of the house? Make the buyer pay for the privilege of buying your house!